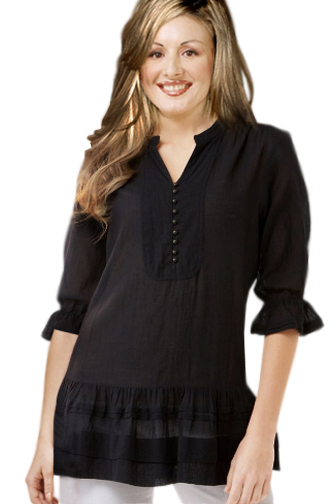 Look casual and sober in this tunic top that is three fourth sleeved with the ends that are a little flared. The top has small and cute collars with buttons at the front. The top also has slightly different hems. This top is very casual and you can make it look chic by accessorizing it.